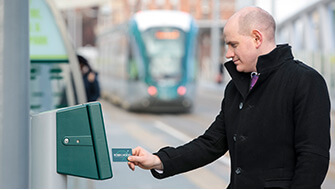 Over 32km of track make up Nottingham’s tram network and each of Nottingham’s trams carry the equivalent of nearly three double-decker buses or 170 cars – helping to keep the roads free of congestion. 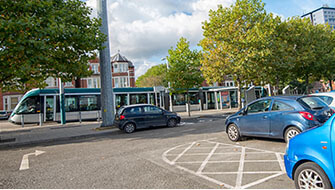 20 of the 30 largest employers in the city are within 800m of a tram stop, and over 5,000 free car parking spaces are available across 7 park & ride sites. 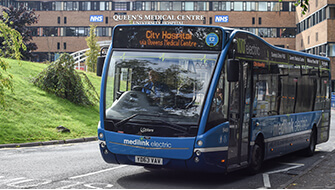 As well as providing easy access to the city for commuters, the tram also connects key destinations such as Old Market Square, Royal Centre, Nottingham Trent University, the University of Nottingham and the Queen’s Medical Centre. Nottingham’s trams are operated by Nottingham Express Transit (NET). Visit the NET Website for more information. There are 7 Park & Ride sites on the tram network. Parking is free you just pay for your trip on the tram! 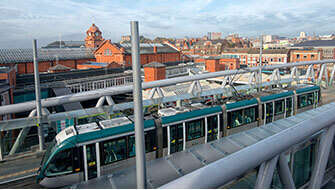 The tram links directly to Nottingham Train Station.